Happy Memorial Day! Today we remember all of those who served in the US Military and gave the ultimate sacrifice while in service. God bless them and their families. Thank you. And thank you to former & retired service members and those who are currently serving to protect our great nation. 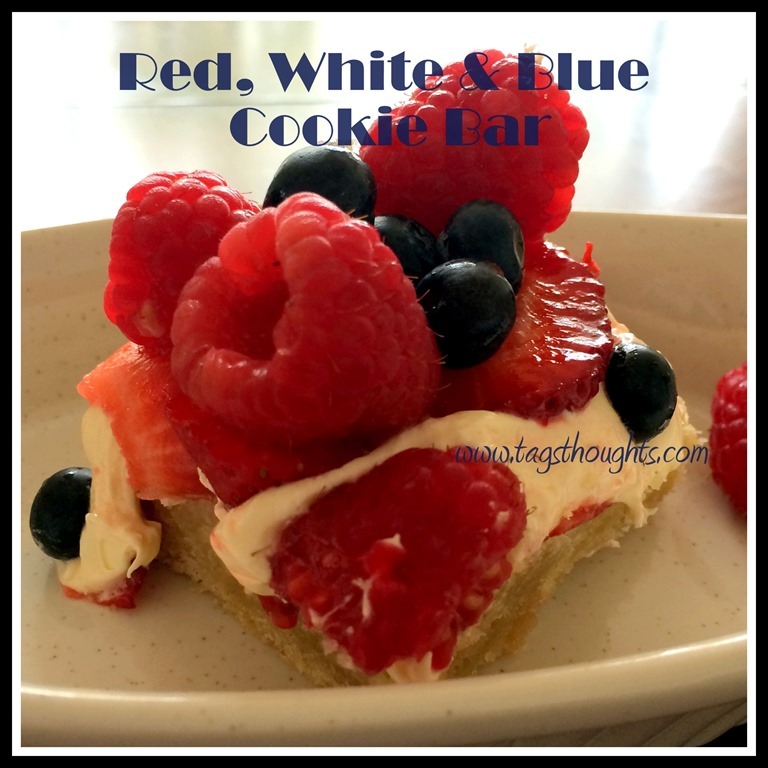 In celebration of our freedom and the service men and women who protect our freedom I made Red, White & Blue Cookie Bars. They make a perfect treat to add to an afternoon picnic or BBQ. Directions: Preheat oven to 350 degrees. Add parchment paper to a 9×9 baking pan leaving a little overhang for easy removal. In a medium mixing bowl stir Four, Powder Sugar, Butter, Egg, Milk & Vanilla with a wooden spoon until combined then knead with hands creating a dough ball. 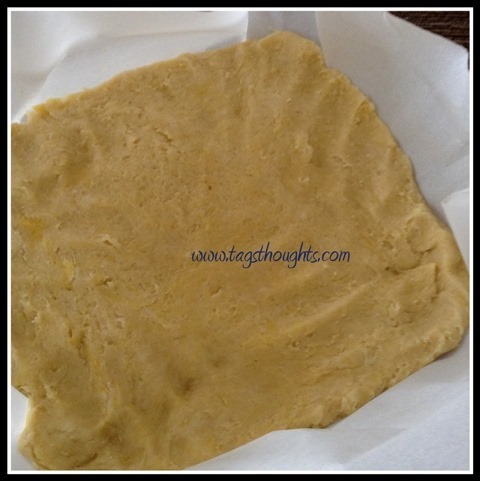 Place dough into baking pan and press down to even out the dough. Bake 30-35 minutes, or until edges are golden and the middle of the cookie bar passes the toothpick test. 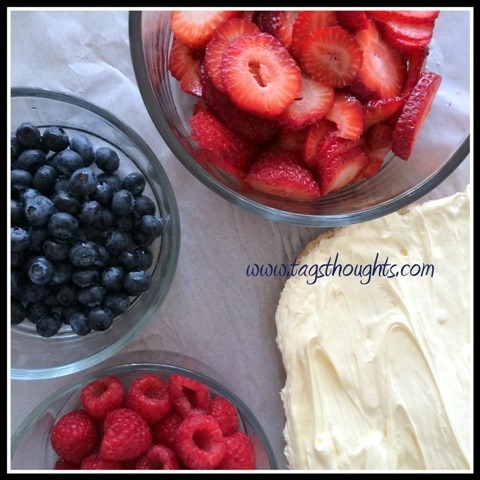 Directions: Add Cream Cheese, Sugar, Vanilla & Lemon Juice to a small mixing bowl, mix until well blended. 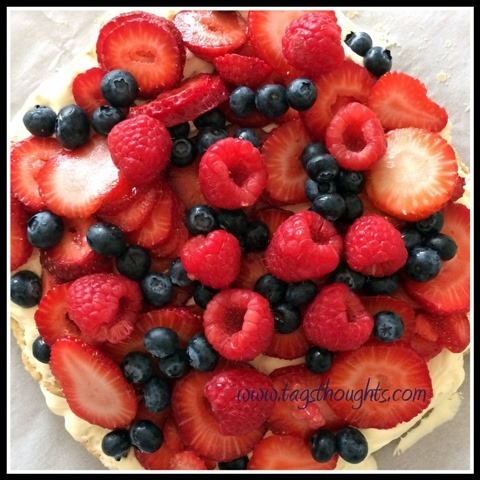 After Cookie Bar has cooled, remove from pan then spread filling mixture to cover cookie bar then top with fruit. Cut into bars, keep refrigerated.